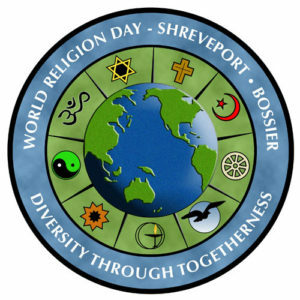 Please join us on Sunday (27 January 2019) from 1:00 PM to 5:00 PM for the 20th Anniversary of Shreveport’s World Religion Day Celebration. 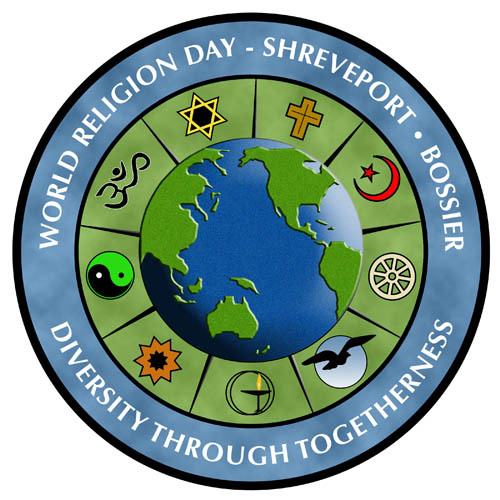 Join us for the 20th Annual Celebration of World Religion Day –Shreveport-Bossier and experience the true religious diversity of our community. The event features table displays by participating faith groups as well as multifaith panel discussions on important issues of the day along with musical performances representing some of the participating groups. We need volunteers to help us set up for the event on Saturday (26 January 2019) at 12:00 PM and to also staff the All Souls table in 90-minute shifts between 1:00 and 6:00 PM on Sunday (the event is over at 5:00 PM and the last shift will assist with post-event clean-up).